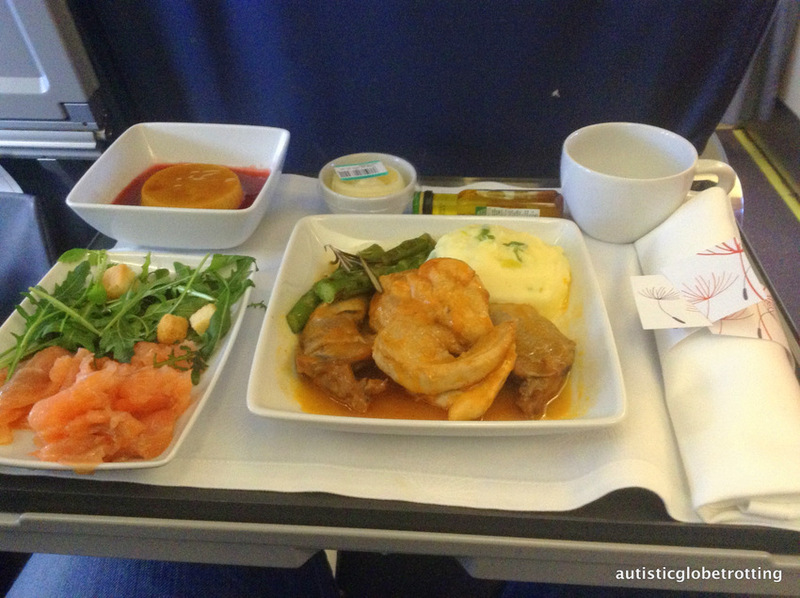 Home » Blog » Special Needs Travel » Flying with Autism: Which Airline Seat is Best? 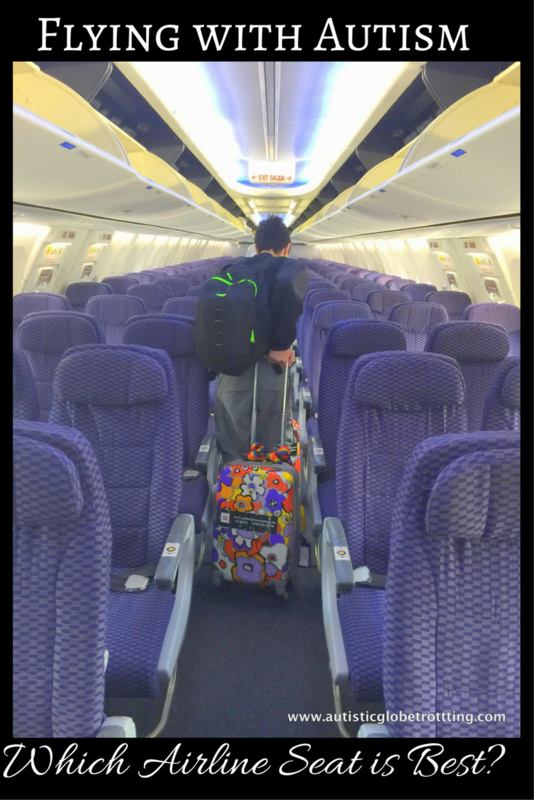 When flying with kids on the autism spectrum choosing the right airplane seat is key to a successful flight. 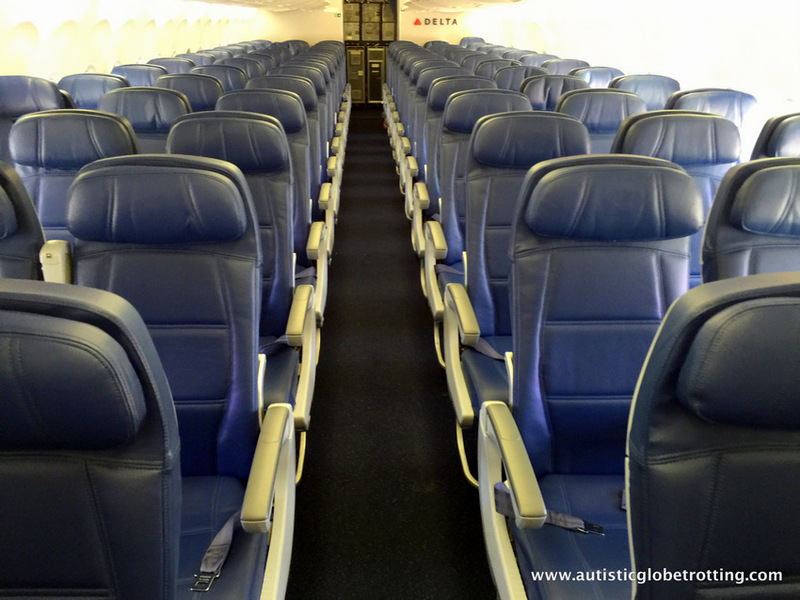 To help parents decide which seats to book on their next flight, here is our list of the best airline seats when flying with autism. 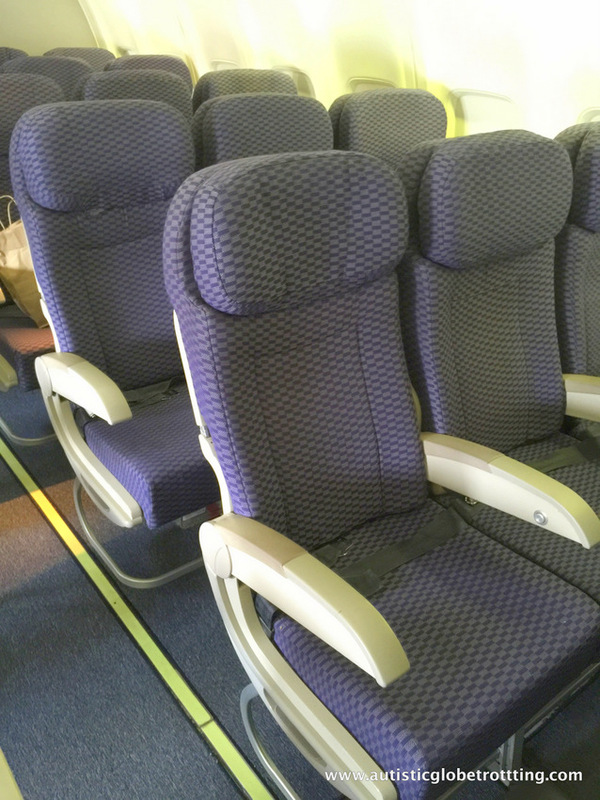 Flying with Autism: Which Airplane Seat is Best? When we first started flying with our family more than a decade ago, I pretty much booked any airplane seats I could find as long as the seats were close to each other. Like many parents to kids with autism, I underestimated the importance of choosing the right seat for our son with autism. But I soon realized that was a mistake. Whenever we sat in unsuitable airplane seats, our son whined, at times he even experienced meltdowns. And that, in turn, stressed everyone around him out–family members, fellow passengers, even crew members. I’m pretty sure some of you have had similar experiences. The good news is that nowadays flying with my son with autism is mostly uneventful. I learned to choose the seats that best accommodate our son’s sensitivities. 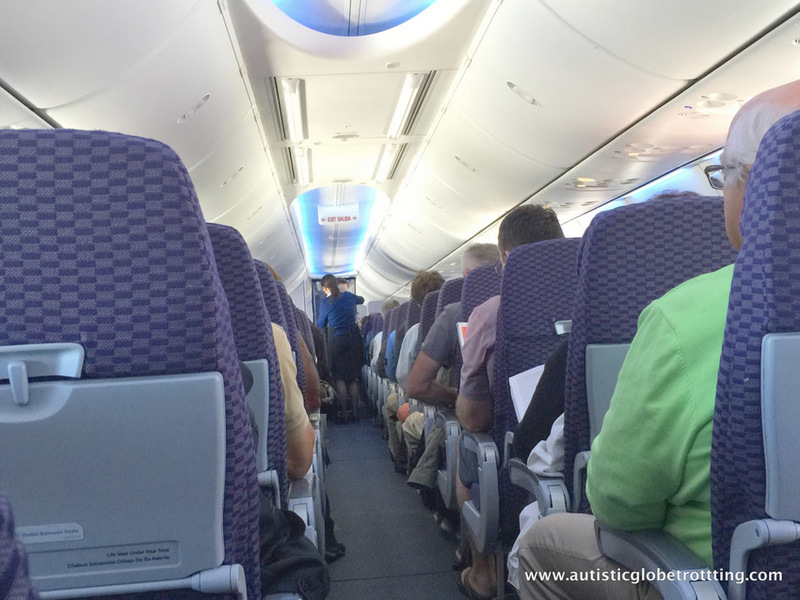 Listed below are tips to help you choose the best airline seats when flying with autism. Many passengers regard the airplane seats at the bulkhead as the ideal spot for travelers with disabilities including autism. And it is! When we fly, we usually request bulk seating. We do this because it not only provides the most leg room but with no passenger in front of us, when my son stimms, he does not disturb other passengers. Furthermore, he can get up without having to ask other people to move. Also, we typically get served food first, so he does not have to wait as long as someone in the middle or back of the aircraft. Another advantage is the ability to deplane quickly without waiting for fellow passengers to get off. However, these seats come with some drawbacks. The major one is the minimal storage space. You can’t put much under your seat, and the trays and entertainment equipment can be cumbersome to use. Furthermore, the armrests between the seats don’t move up. 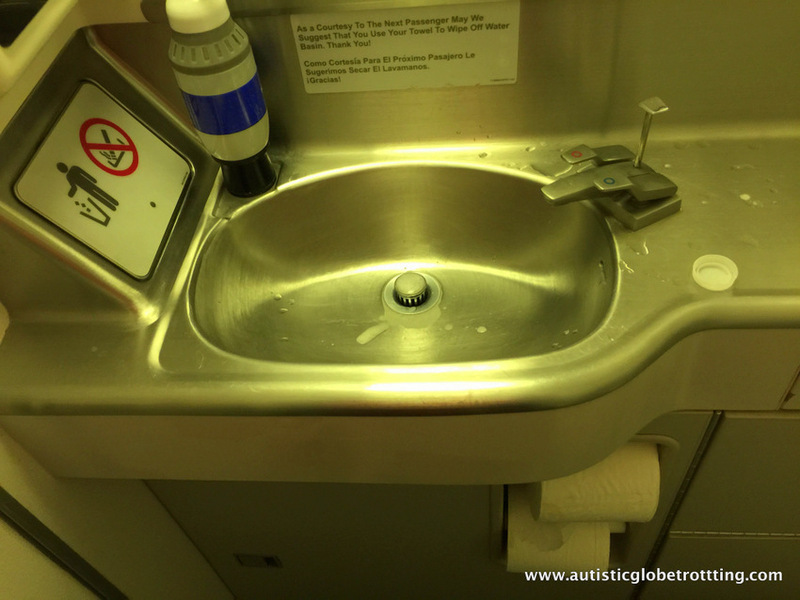 Autism TravelingMom Tip: On some aircraft, the bulk seats are close to the restrooms. That can be a challenge for those who are smell sensitive. 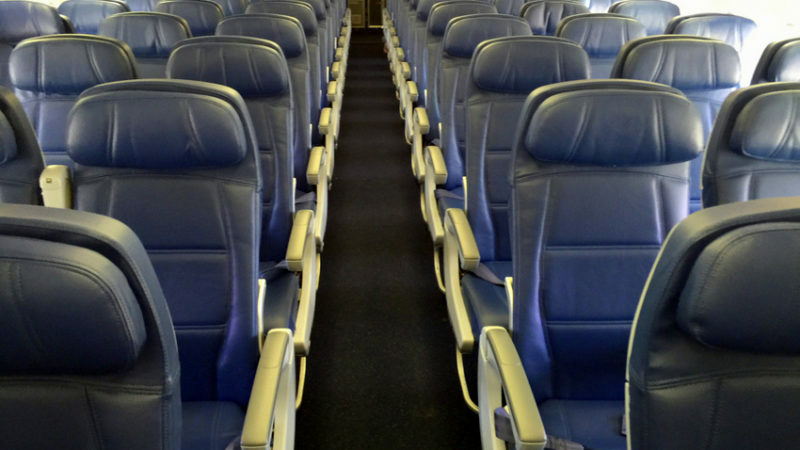 Airplane seats on the aisle also offer significant advantages. The first is the additional space to stretch out. You can use the restroom quicker, without needing to have others move out of your way. And, when it is time to deplane, you have the first access to the overhead bin and can exit the airplane quicker. However, there are a few downsides. When the crew comes through with the drink or food carts, you have to make sure your arms and legs clear the aisle entirely. If not, you could be hurt by the cart. Another inconvenience is that you have to get up every time fellow passengers sitting in the window or middle seats want to get up. 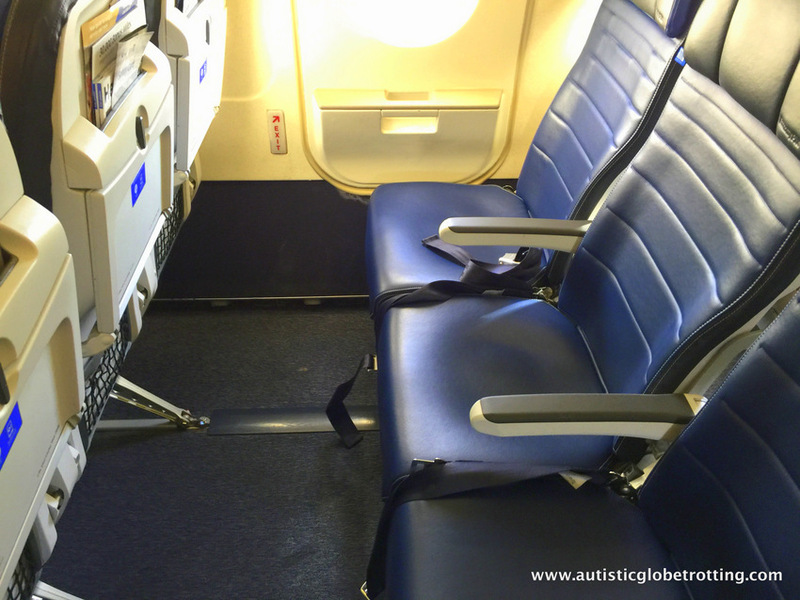 Autism TravelingMom Tip: The airplane seat on the aisle is most suitable for older kids who may require additional personal space or need to get up and walk around frequently. Many people with autism like the window seat best because they can lean or stretch against the window and they do not have to deal with people sitting on both sides. Yet, there are a few disadvantages to window seating. One is that the passenger is served food last in the row. Another is the fact that you need to ask two people to move every time you need a restroom break. 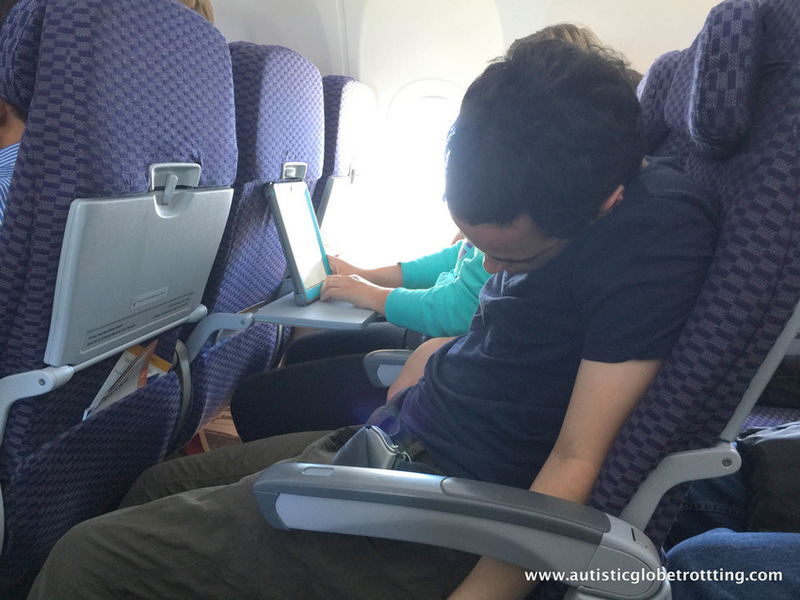 Autism TravelingMom Tip: The window airplane seat is suitable for those who like to sleep on flights as the window provides some head support. It is also useful for occupying younger kids who love to look out, particularly for day flights. The airplane seats near the emergency exits are some of the most coveted as because they come with the most leg room. Many passengers are prepared to pay extra to have these seats. While these seats are “prime property” on an airplane, they also have a few drawbacks. If you choose these seats, in the case of an emergency you will be asked to help other passengers get off the flight. Another disadvantage is the area can be colder on transatlantic or transpacific flights. If you opt to sit in those seats, heavier clothing and blankets are strongly recommended. 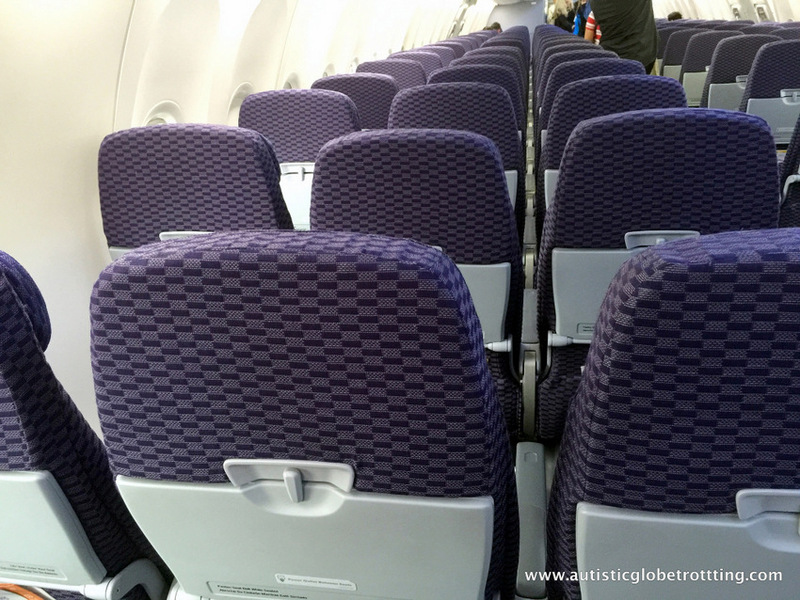 Autism TravelingMom Tip: Airlines will not allow young kids or people with a disability to sit in these seats since they can’t effectively assist fellow passengers in a case of emergency. Parents with kids on the autism spectrum should contact the airline and ask about the airline policy before booking these seats. Sitting next to the galley has its pros and cons. The pros are being close to snacks and drinks on long-haul flights which can be helpful with younger kids. Also, you are sitting closer to the crew should you require additional help with anything. But there are quite a few cons too. The smell of food cooking may be a deterrent for some. When the food contains garlic or is fried, the scent may be even more pungent. Also, it is a heavy traffic area with crew and passengers coming and going at all times. That may be distressing to some. Autism TravelingMom Tip: This is not recommended for passengers with smell or noise sensitivities. When flying with autism, one of the least desirable seating would be near the restrooms. Not only can the smells be disturbing, but the area often becomes congested with fellow passengers waiting to use the facilities. Many times the waiting passengers lean over and inadvertently touch passengers sitting nearby. There is a definite reason to choose this seating, at least for some. This is the ideal spot for travelers suffering from any digestive problems such as IBS, as it provides fast access to the restroom. Autism TravelingMom Tip: Parents with kids that have smell or noise sensitivities need to avoid booking these seats. The very last row is regarded by most as a bad location. And for a good reason! The significant drawbacks include sitting next to the restroom, galley or both. Then there’s the lack of recline on the seats. 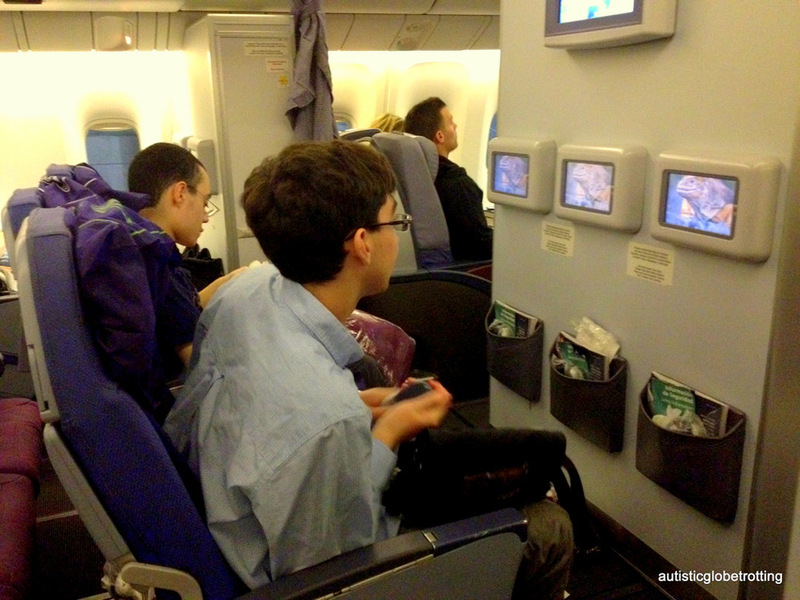 So, you spend your flight pretty much sitting upright even on long-haul flights. And the final whammy is you get to get off the plane last, which can take an extra 15-20 minutes of waiting. However, there may be a tiny bright spot for some. In the event, the flight isn’t filled to capacity, one or more seats may remain empty.That means the passengers in the row can stretch into the next seat over. This may not seem like much on a short flight but is quite the prize on long-haul flights. Autism TravelingMom Tip: Unless you have no other choice, you should avoid booking this row altogether. Much has been said about the airplane middle seats; none of it flattering. There are many disadvantages to this seat. The constant battle over the armrest, on both sides is one. Then there’s the fact you need to ask the person on the aisle to move every time you wish to go to the facilities. In some cases, those seated in the middle seat even need to share the charging stations since some aircraft only have two in their three seat rows. Autism TravelingMom Tip: Avoid booking this seat unless it is a bulk middle seat or you are traveling with a youngster who can tolerate sitting in a confined seat. Have you tried flying with your kid on the autism spectrum? What is your favorite seat?